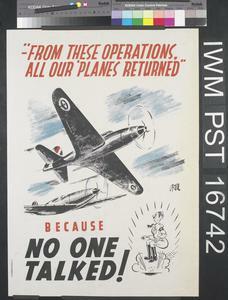 'From These Operations, All Our 'Planes Returned' - Because No One Talked! whole: the main image is positioned in the upper two-thirds, with a smaller image positioned in the lower right. The title is separate and placed along the top edge, in red. The text is separate and placed in the lower left, in red and in black. All set against a white background. image: a depiction of two British fighter aircraft in flight. The smaller image is a caricature of Adolf Hitler, jumping from the force of an explosion. text: '- FROM THESE OPERATIONS, ALL OUR 'PLANES RETURNED' B M BECAUSE NO ONE TALKED! 3084/PMEE/3-10.000-4/42. 'And the Action was Entirely Successful' -Because No One Talked! 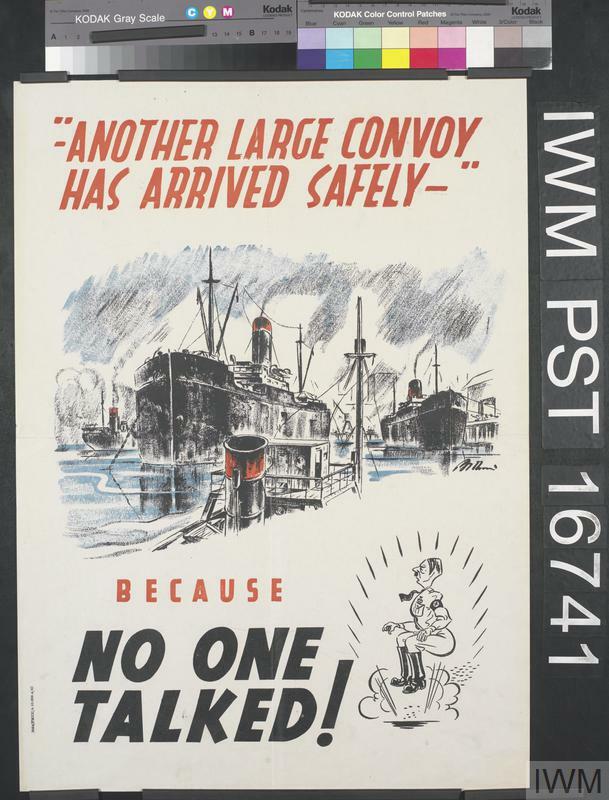 'Another Large Convoy has Arrived Safely' - Because No One Talked! 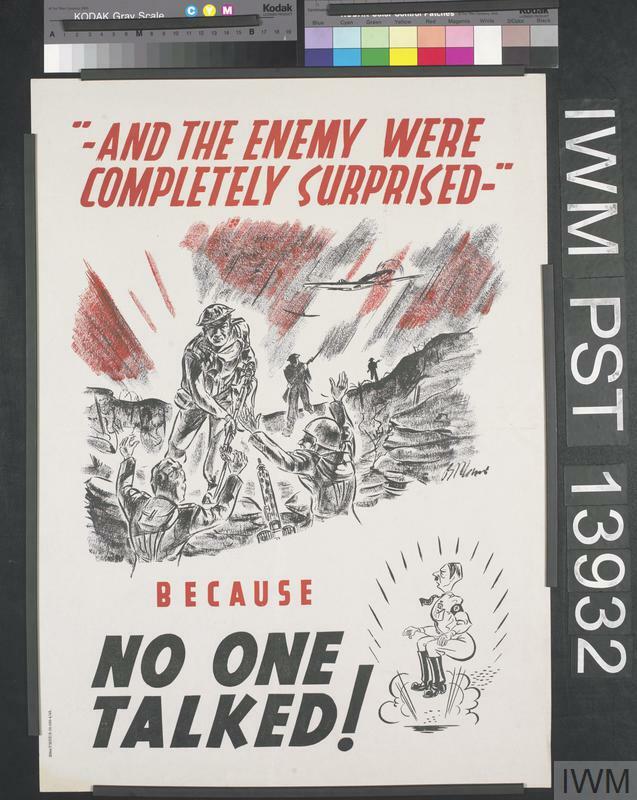 'And the Enemy were Completely Surprised' - Because No One Talked!